Home News 737 MAX Why are the investigators withholding vital clues into 737 MAX crashes? 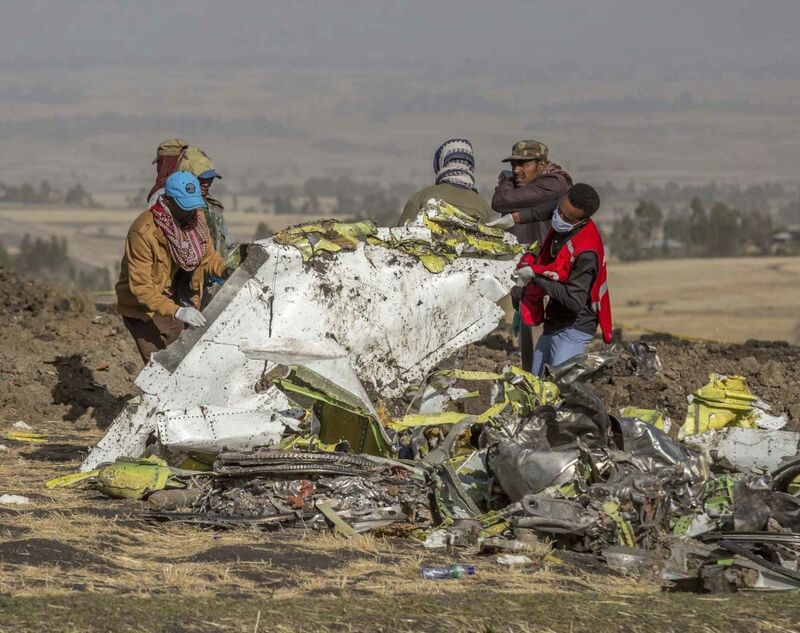 One of the world’s leading crash investigators and safety commentators Greg Feith has criticized the 737 MAX crash investigators in Ethiopia and Indonesia for withholding vital black box information. Feith’s bio is at the bottom of this story and the following is a reprint with permission of his opinion piece published today on his official FB page. Although the “theory mill” continues to churn out causes of both the LionAir and Ethiopian 737 MAX accidents, there are several things that should be of concern to the aviation industry and the public regarding the accident investigation activities that are being conducted. Currently, ALL of the facts, conditions, and circumstances have not been fully developed and/or properly interpreted at this time in either investigation. Factual information has been slow in coming from either investigative authority (which is their prerogative to determine when, where and how the information will be released), but withholding information from organizations (NTSB, FAA, and Boeing) that have a time-critical need to know is a disservice to the industry and the flying public. However, the disturbing reality is that it took a pilot who was not in command of the flight, and just an observer, to tell the Captain and First Officer (who were supposedly trained, qualified, and experienced in the operation of the Boeing 737 MAX) what the issue was that resulted in the nose of the airplane pitching down (uncommanded pitch trim input also known as a “runaway trim”). The fact that the pilots who were in command of the flight and had access to the flight controls did not recognize nor properly respond to the “runaway trim” event is a testament of a more systemic problem within Lion Air. Although MCAS was not in any airline or airline pilot’s vocabulary at that time of the accident, the nose-down event was properly diagnosed and the requisite procedures implement because the dead-heading pilot apparently relied on possibly his training, experience or a combination of both to recognize the event as a runaway trim and coach the pilots through the proper procedures. EDITOR’s note: There are four failures that will cause a runaway trim on a standard 737 and five on a MAX version. The flight crews’ failure to understand the issue and implement the proper corrective actions (which are memory items) is a symptom of a more serious problem and a likely explanation for the loss of the airplane if the accident crew reacted in the same manner – confused, panicked and hoping to find the answer in book rather than reverting to what they would have learned in training. It is also of interest that it took the Ethiopian investigative team 5 days to find a place to have the FDR and CVR data downloaded and converted to a medium that could be used by investigators to determine the initiating event that leads the pilots to lose control of the airplane. The skeptical investigator in me says that if the flight crew did not have some significant involvement in the loss of the airplane, the Ethiopian investigators would have released the information immediately and singing their praises. I know I am going to get hammered for making a statement like that, but in truth, I hope I am wrong. 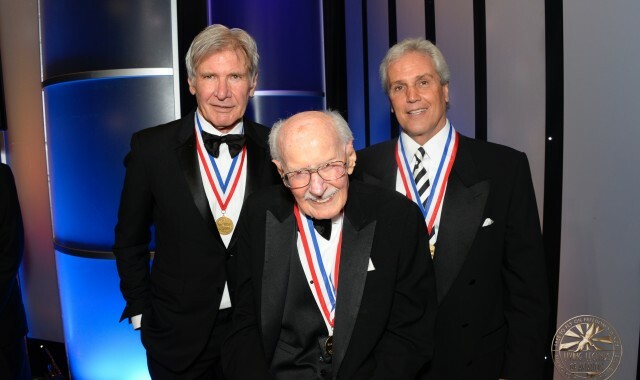 Greg Feith (right) is inducted into the Living Legends Hall of Fame with Harrison Ford and Bob Hoover. He has also investigated some of the most defining air crashes in history; Aloha Airlines Flight 243, American Airlines Flight 1420, American Eagle Flight 4184, British Airways Flight 9, Korean Air Flight 801, SilkAir Flight 185, Swissair Flight 111, USAir Flight 1016 and ValuJet Flight 592.